Do you have what it takes to enrol in our hairdressing courses? Do you love everything about the beauty industry? If so, you’ve probably thought about pursuing a career in hairdressing at one stage or another! If the thought of helping others redefine their “look” speaks to you, it may be time to think about studying hairdressing. 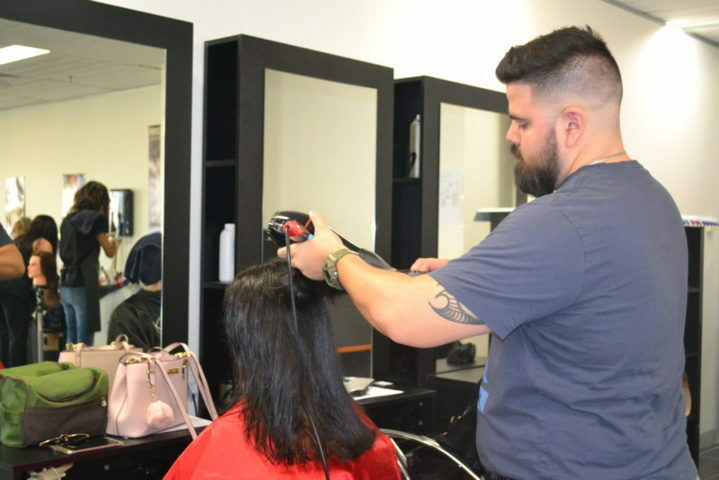 Of course, wanting to succeed in hairdressing is only one part of the equation (albeit an important one) – just as important is having the qualities of a successful hairdresser. What kinds of qualities make for a passionate and talented hairdresser? We explore below. Words to live by, if you ask us! And when it comes to hairdressing, it isn’t just a healthy attitude to take – it’s also what separates great hairdressers from the rest! Naturally, a passion for all things hair is the secret to success as a hairdresser. The best students are the ones that love to explore, experiment, and keep updated with the latest hair trends. Ideally, the thought of being able to spend your career defining hair trends and making people beautiful should speak to you. Does this sound like you? If so, studying hairdressing might be your next career move! Since so much of hairdressing is all about appearance, it’s crucial that you’re the type of person who has a keen eye for what looks good and what doesn’t. This goes beyond following the latest hair trends – many of your customers are going to put their appearance in your hands, simply saying “do what you think looks good”. Needless to say, that’s a pretty big responsibility! The best hairdressers should be good with colours and shapes. They’ll need to have a solid idea of what hairstyles complement different face shapes, as well as which colours best match different skin tones. Hairdressing isn’t like retail or admin. As a hairdresser, you’ll be working directly with your clients – as such, your customer service skills are just as important as your proficiency with the clippers. Does making conversation come to you as easily as breathing? Do you enjoy meeting new people? If so, you’ve got one of the most important parts of the role nailed right there! We’re going to level with you: working with hair is a lot harder than it looks! While hairdressing courses provide plenty of hands-on learning that teaches you how to deal with hairdressing, you’ll also need considerable attention to detail to back it up. Your certificate opens the door to plenty of opportunities – these are just a handful of the locations our hairdressing students have found employment and as such, enjoyed a rewarding career! To find success as a hairdresser, you’ll need to be flexible. You’ll need the skills to work independently as well as part of a team. If you’d like to aim for a more senior or managerial role, our Diploma of Salon Management will help you learn the skills to coordinate and manage your own staff. Our hairdressing courses help you turn your passion for hairdressing into a career! Love everything to do with beauty, fashion, and hair? 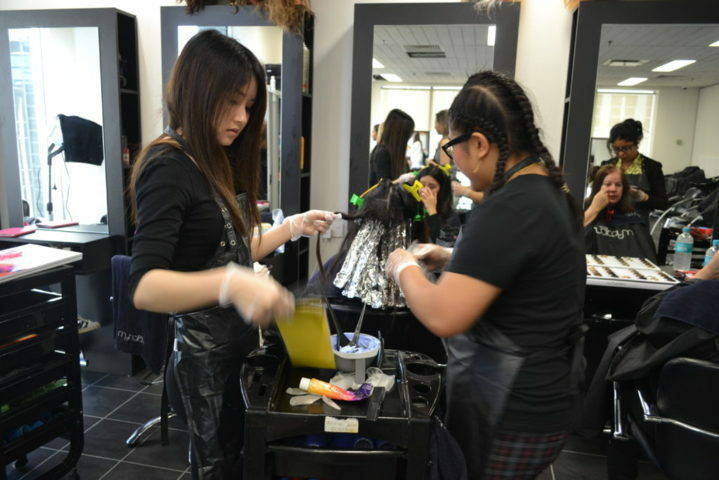 Why not study hairdressing with Academia? Passion, focus, and conversational skills will get you so far as a hairdresser. For the practical skills and technical training, enrol in Academia’s hairdressing courses! During this course, you’ll acquire technical hairdressing skills such as hair cutting, design, styling, and hair colouring. You’ll also receive training in leadership skills for problem resolution, helping you provide excellent service as well as improving your communication, customer service, and hygiene. Requiring a Certificate III in Hairdressing plus an additional year of full-time employment, the Certificate IV will see you work with senior hairdressers who will serve as technical advisers and expose you to more specialised hairdressing services. Eager to open your own salon or manage your own team? 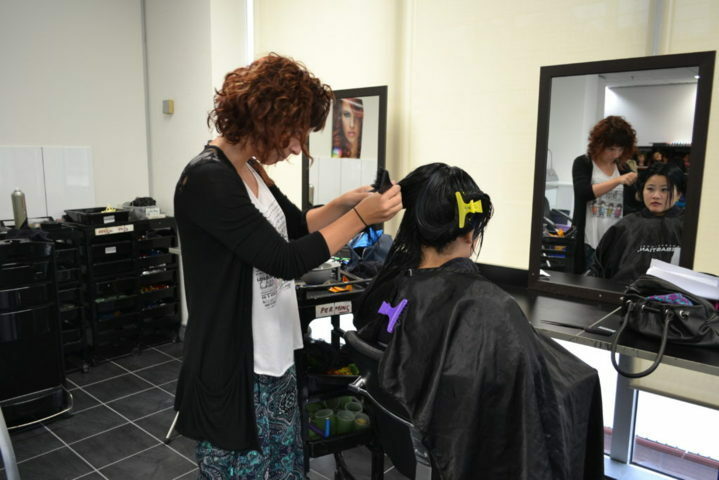 This diploma includes 20 weeks of on-campus training and a 20-week internship in a salon. During your studies and internship, you will learn the skills required to become an effective salon manager or small business owner, including planning, monitoring and administrative skills! 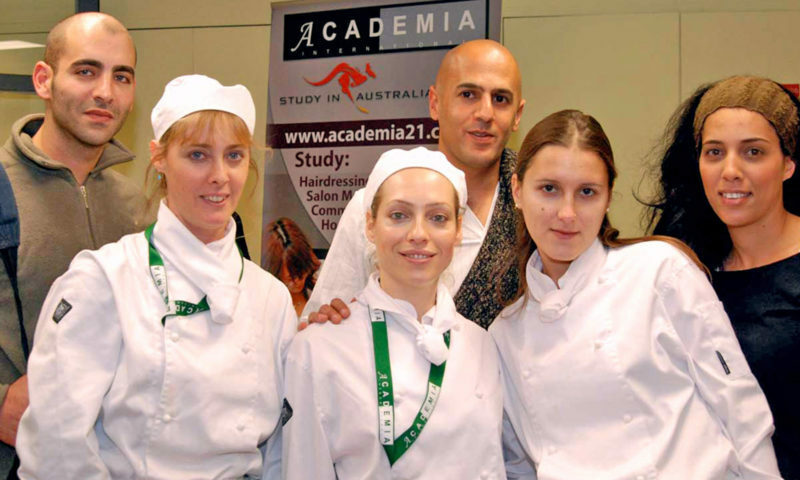 Study hairdressing in Melbourne with Academia! Take the first step towards a rewarding career in the hairdressing industry with Academia’s hairdressing courses in Melbourne. We give students the training needed to succeed in this buzzing job market! Got questions? We’ll help you find the right answers. No two people have exactly the same kind of hair, but there are basic kinds of hair: fine, medium and coarse. Satisfying hair care clients is much different today than it was 20 years ago. Salon management requires more knowledge than knowing how to be a hairdresser.